Wednesday, March 27th – Math Benchmark – Students may bring water bottles, mints, and a healthy, no-mess snack. Thursday, March 28th – Reading Benchmark – Students may bring water bottles, mints, and a healthy, no-mess snack. PLEASE, no outside lunches on these days. 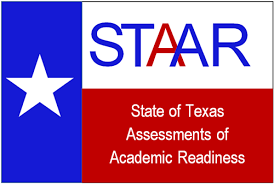 April 9th – 4th grade Writing STAAR Test!! Field Trip – Jefferson, April 17th: A letter was sent home last Thursday. There is a permission slip for parents to sign and the total cost for students to ride the boats and wagons is $10.00. It must be cash! No checks please! Parents, you are welcome to come and walk with us, shop with us, and eat lunch with us. Students may be checked out with a parent to ride home with them. This entry was posted in Information and tagged benchmark, field trip by Mrs. Hunter. Bookmark the permalink.